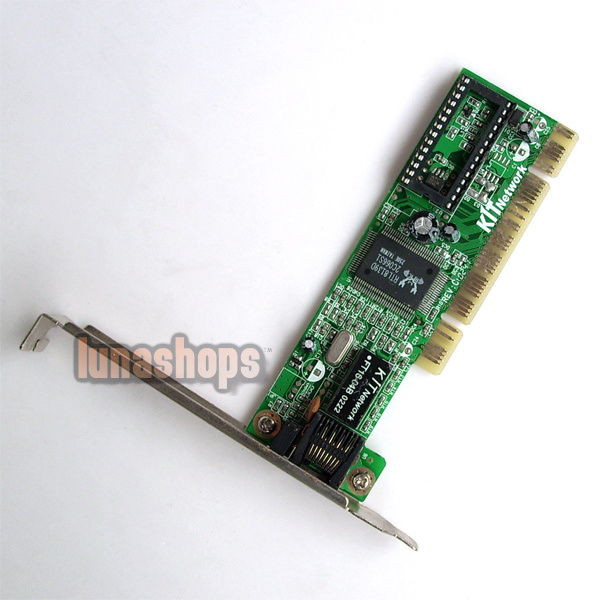 This Ethernet Lan Card for PC computers is the best low cost solution for connecting your 32-bit PCI local bus desktop computer to 10/100/1000Mbps Ethernet network. 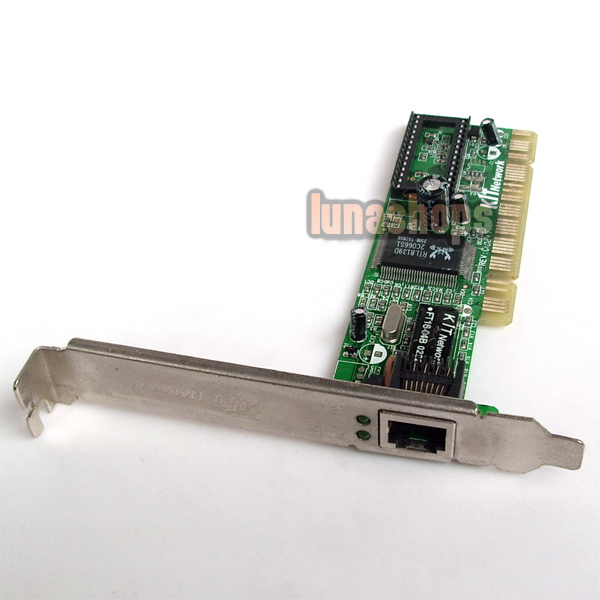 100m Ethernet Card support 32-bit 33/66Mhz PCI CardBus. Complies with the PCI Revision 2.1/2.2. Complies with the IEEE802.3, 10Base-T, IEEE802.3u, 100Base-TX, IEEE802.3ab and 1000Base-T standard. Easy migration; single RJ-45 port for 10Base-T, 100Base-TX and 1000Base-T.
100m PCI Card supports 10/100Mbps full and half duplex, 100Mbps full duplex. Supports IEEE802.1P, IEEE802.1Q VLAN tag. Supports Full Duplex Flow Control (IEEE802.3x). Supports ACPI, PCI power management. Provides Bootrom slot, supports remote boot. Notification (Hot Plug) feature. Provides LEDs to indicate network Link / Activity. Contains two large independent receive and transmit FIFOs. OS supported : Windows 98 / Me / NT / 2000 / XP / Vista, Netware, Linux.